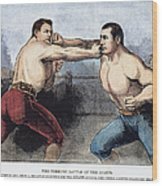 There are no comments for Sullivan & Kilrain Fight. Click here to post the first comment. 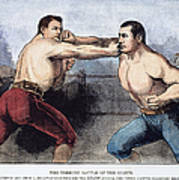 SULLIVAN & KILRAIN FIGHT. 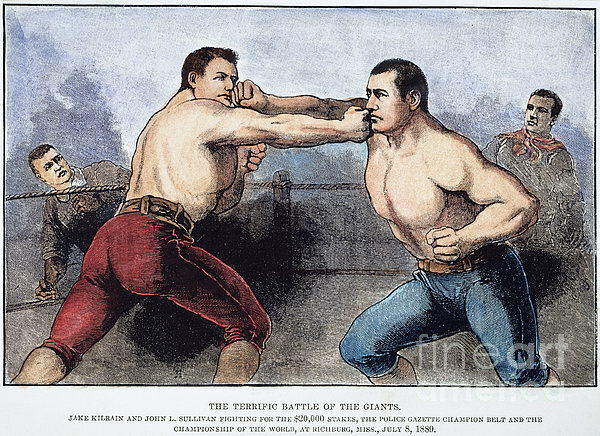 Jake Kilrain (left) and John L. Sullivan in the 75-round contest (8 July 1889) at Richburg, Mississippi, won by Sullivan in his last bare-knuckle fight: contemporary engraving from the "Police Gazette".